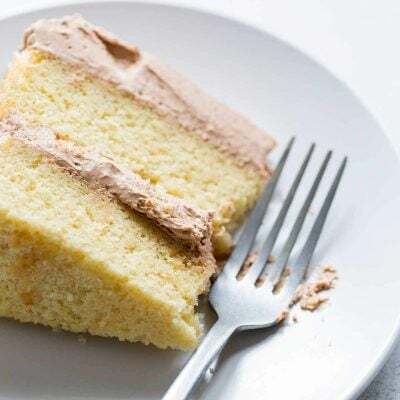 This classic yellow cake recipe is soft, buttery and moist, with a delicate crumb, and just the right amount of sweetness. 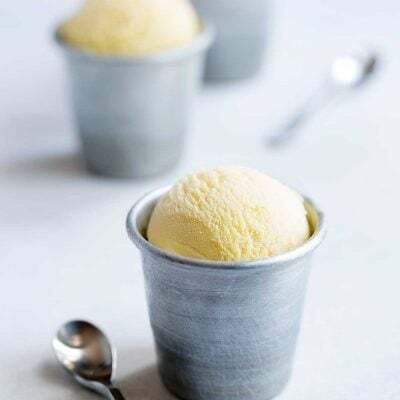 Its simple vanilla flavor is perfect for showcasing your favorite frosting or enjoying on its own. Best of all? 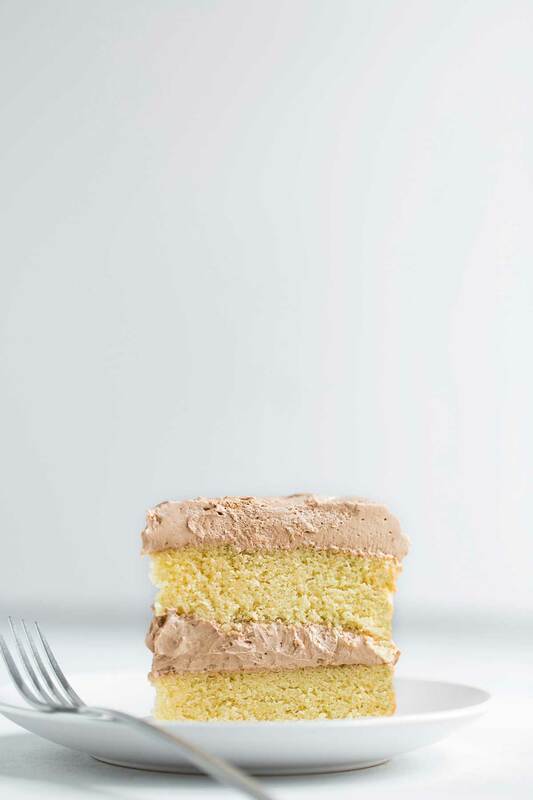 This yellow cake recipe is made entirely from scratch. So here’s the thing about yellow cake mix, and box mixes in general. I’m not going to fault anyone for using or even loving them. We all like what we like, and some people really love their cake mix. It’s chemically engineered in a food science lab to be incredibly soft, and to rise perfectly every time. Mom used it when I was a kid, and I liked it just fine (however, as a young adult I considered myself Team Pie until I started making cakes from scratch). My grandma used it as the base for her “famous” chocolate pistachio cake. Last year, I decided to buy two boxes of cake mix out of curiosity. I’d been making homemade cakes for ages at this point, and I was curious why people love box mixes so much. To be honest, I was downright impressed by how idiot-proof everything was. 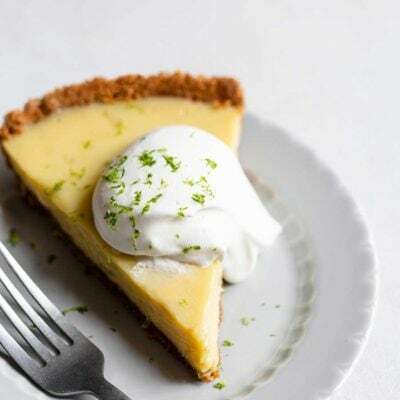 Homemade cake recipes have a method that typically looks something like this: creaming butter and sugar, adding eggs slowly, then alternating between adding the dry and wet ingredients. All of this happens on varying mixer speeds. I dumped the cake mix and add-ins into my stand mixer, turned it on high speed, and walked away. There were no speed adjustments. A few minutes later, the batter was fluffy as a cloud. And then I tasted the batter. I also tasted the finished cake. They… didn’t taste good to me. Either brand I sampled. While I thought the texture was pleasantly soft, the flavor was cloyingly sweet; I couldn’t imagine adding more sweetness with frosting. There was also an off-putting chemical aftertaste. At the end of the day, it has to taste good to me. Otherwise, what’s the point? That, my friends, is my argument for why you should make this homemade yellow cake recipe. I’m not going to preach about chemical ingredients, because I love Cool Ranch Doritos. Cakes made from scratch taste better. Do a side-by-side taste test comparison. I dare you. What’s the Difference Between Yellow Cake and White Cake? Yellow cake and white cake are almost identical with one exception: the eggs! This yellow cake recipe gets its yellow color and slightly more custardy flavor from egg yolks, whereas white cakes use only egg whites. Also, while this isn’t always the case, white cake often uses cake flour, while yellow cakes typically use all-purpose flour. Step 1: Preheat oven and prep cake pans. Preheat to 350 degrees F, then grease the bottom of two 8-inch cake pans (do not grease the sides) and then top with parchment rounds. Tip: If possible, place the cake pans on a baking sheet. This will make taking both cakes in and out of the oven much easier. Step 2: Combine wet and dry ingredients in separate bowls. In a medium bowl, whisk together flour, cornstarch, baking powder and salt. 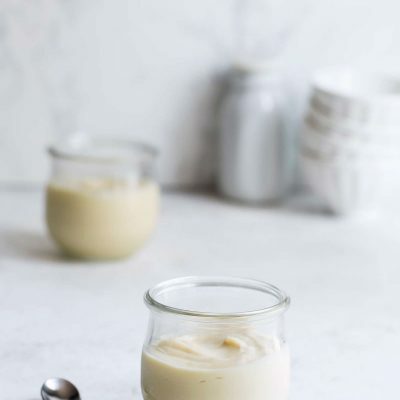 Combine the half-and-half and vanilla in a liquid measuring cup, then crack the eggs into a small bowl or separate liquid measuring cup. Step 3: Cream the butter and sugar until pale and fluffy. If needed, scrape down the sides of the mixing bowl to incorporate any bits of sugar or butter that don’t get whipped into the mixture. Step 4: Add eggs to the butter mixture. Add the eggs, one at a time, to the butter mixture. Stop the mixer and scrape down the bowl after you’ve added in the last egg. Tip: The yellow cake batter may look slightly curdled at this point. That’s totally normal! Step 5: Add the wet and dry ingredients to the butter mixture. You’ll need to alternate between adding the dry and wet ingredients to the butter mixture, starting and ending with the dry. Step 6: Beat the yellow cake batter for 30 seconds. Do not skip this step! 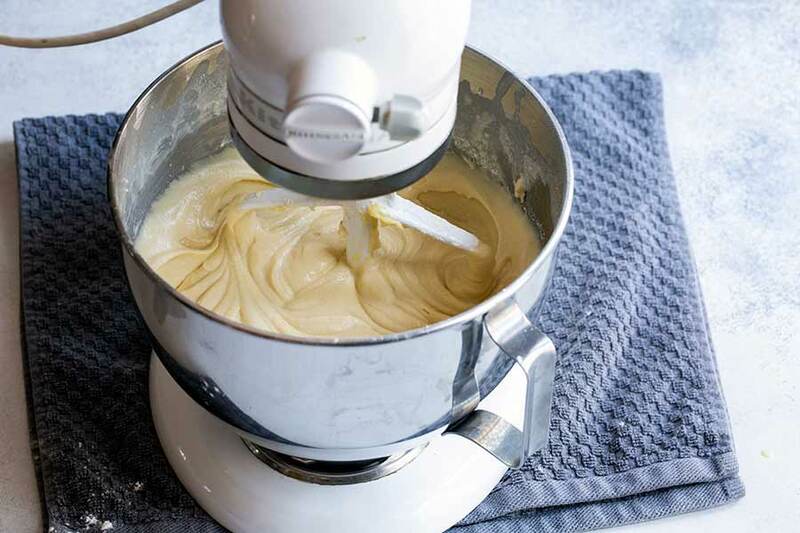 It’s incredibly important that you take these few extra seconds to beat the cake batter. This builds the structure of the batter and makes for a better cake. Step 7: Divide the cake batter between the pans and bake. 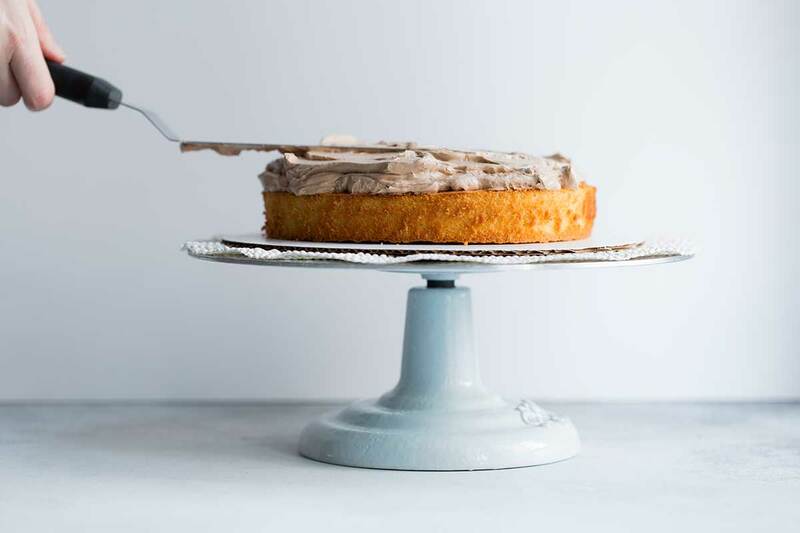 Use an offset spatula to even out the tops of the cakes. If you skip this step, your cake may rise unevenly in the oven. 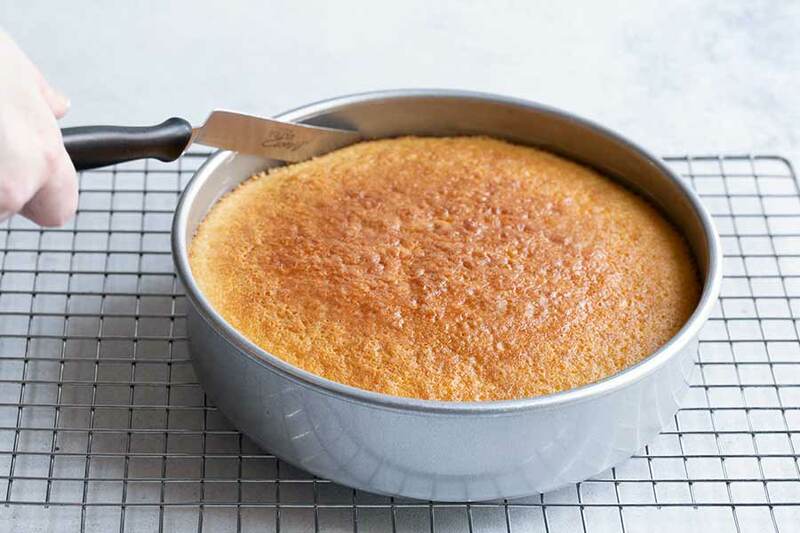 Bake the yellow cake until set in the center and a toothpick inserted in the center comes out clean. Step 8: Remove the cakes from the pans and frost. Let the homemade yellow cakes cool completely before removing from the pans. You’ll likely need to use a knife to release the sides of the cake before gently flipping the cake out. 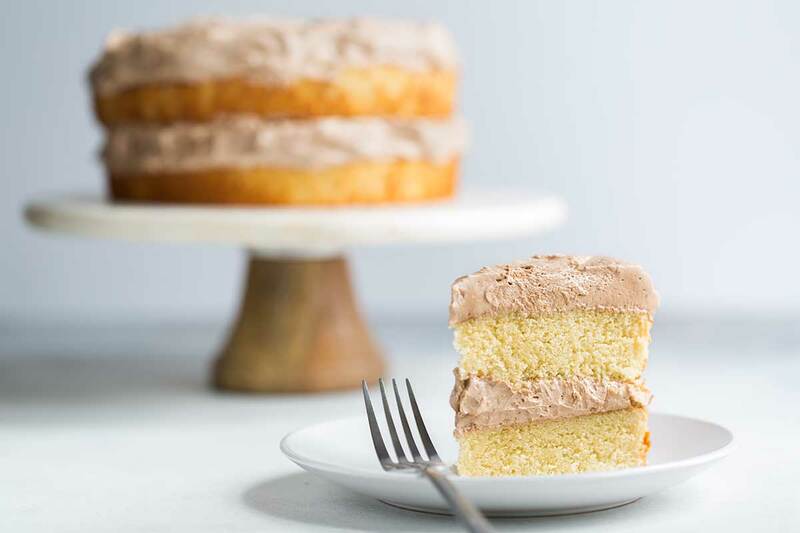 You can frost this cake with any frosting you like, but I’ve made some notes in the recipe card below if you’re searching for an easy recipe. Read more: While not essential, I think certain tools like offset spatulas and parchment rounds are very helpful. 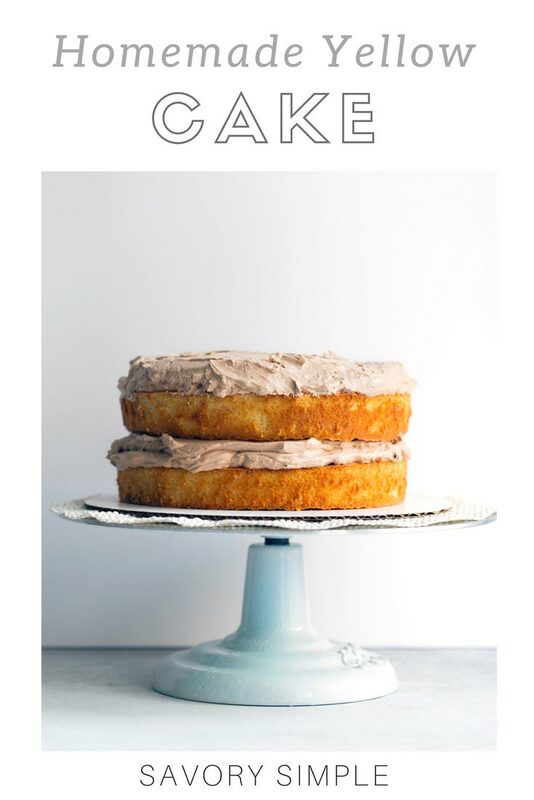 If you’d like to know more about my cake equipment recommendations, as well as general tips and tricks, check out my article: How to Make a Perfect Layer Cake. Before placing the cake in the oven, make sure the tops are level. This will help ensure that they bake evenly. If one side rises slightly more than the other, use a serrated bread knife to carefully even out the top. Avoid ingredient and equipment substitutions whenever possible, at least the first time you prepare a recipe. Different size eggs will change the structure of the batter. So will sugar with a different consistency (superfine sugar, raw sugar, etc). If you use non-dairy, skim or whole milk instead of half-and-half, the cake will be more dense and dry. Increasing the size of the cake pan will increase the bake time and potentially impact the structure of the cake. For example, a 9-inch cake pan is actually 25% bigger than an 8-inch cake pan, so to get the exact same cake, you need to increase the ingredients by 25%. Learn more about this here. Make sure your baking powder is still active. Baking soda and powder expire over time, which will prevent cakes from rising. 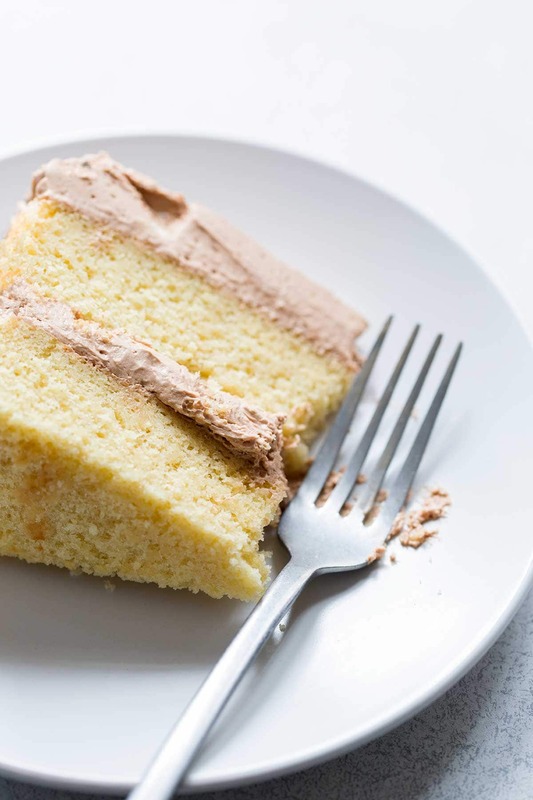 If you enjoyed this yellow cake recipe, be sure to check out my Rum Cake, Vanilla Cream Cakes, Sour Cream Coffee Cake, Classic White Cake, and Chocolate Malt Layer Cake. For even more homemade cake and cupcake recipes, be sure to visit my dessert recipe archives. This yellow cake recipe has a delicate crumb and the perfect level of sweetness. It's the best cake recipe to top with your favorite buttercream. I recommend chocolate! 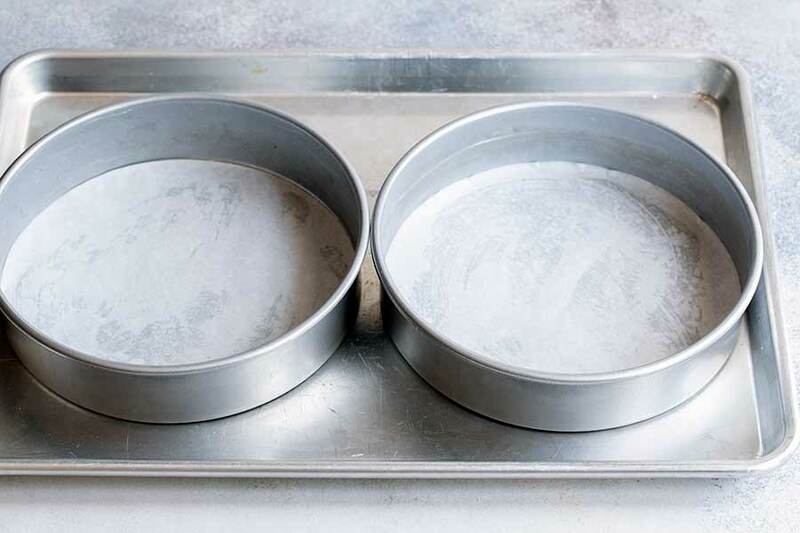 Set a rack in the middle of the oven and preheat to 350 degrees F. Very lightly grease the bottom of two 8-inch cake pans (do not grease the sides) and then top with parchment rounds. 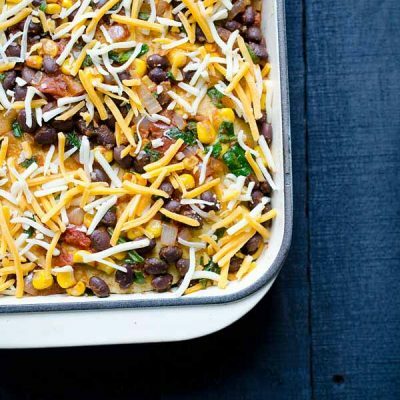 Place the pans on a baking sheet, if possible (this will make taking both cakes in and out of the oven at once a breeze). 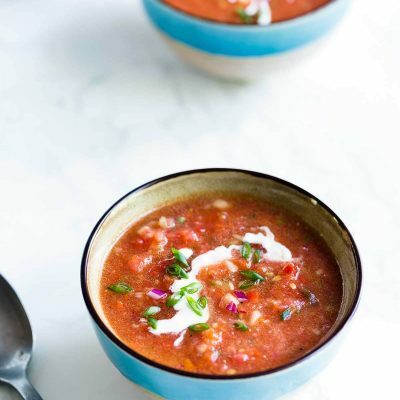 In a medium bowl, thoroughly whisk together the flour, cornstarch, baking powder and salt. 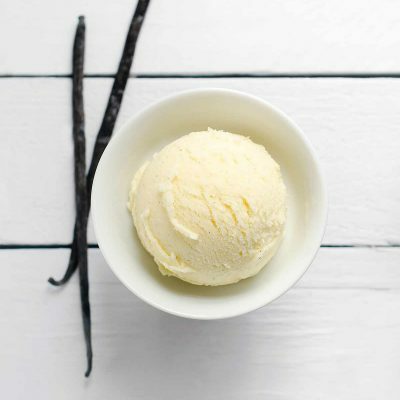 In a liquid measuring cup, combine the half-and-half and vanilla. Crack the eggs into a small bowl or liquid measuring cup. 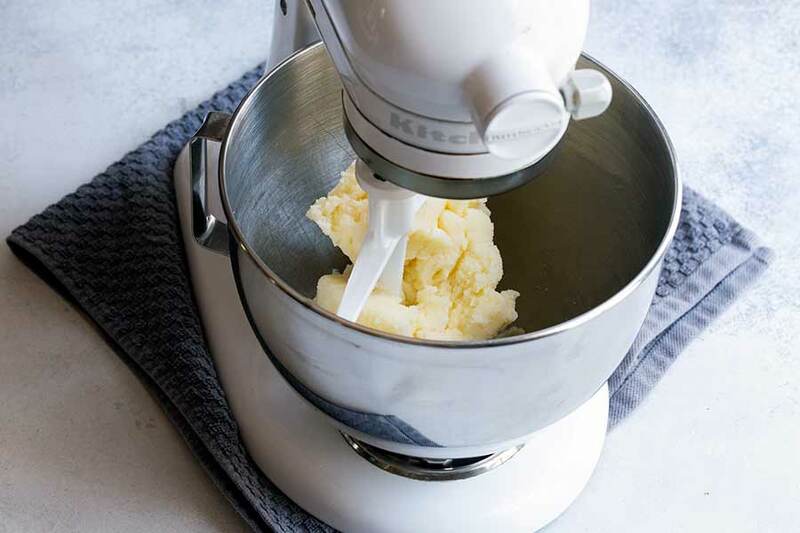 In a stand mixer fitted with the paddle attachment, combine the butter and sugar on low speed for 3 minutes, until pale and fluffy. If there are any bits of unincorporated sugar and/or butter on the sides or bottom of the bowl, use a spatula to incorporate them and mix for an additional 30 seconds. Slowly add the eggs, one at a time, stopping to scrape down the bowl all the way to the bottom after the second and final egg. 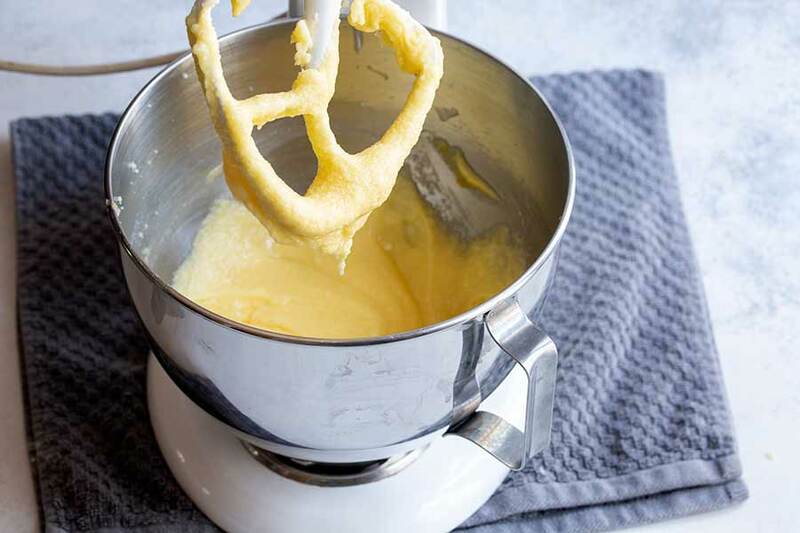 The batter may begin to look slightly broken by the end of this step; it’s ok.
On medium speed, swiftly alternate between adding the dry and wet ingredients, starting and ending with the dry. This shouldn’t take longer than a minute. Turn off the mixer and scrape down the bowl, all the way to the bottom, making sure there are no hidden dry patches. 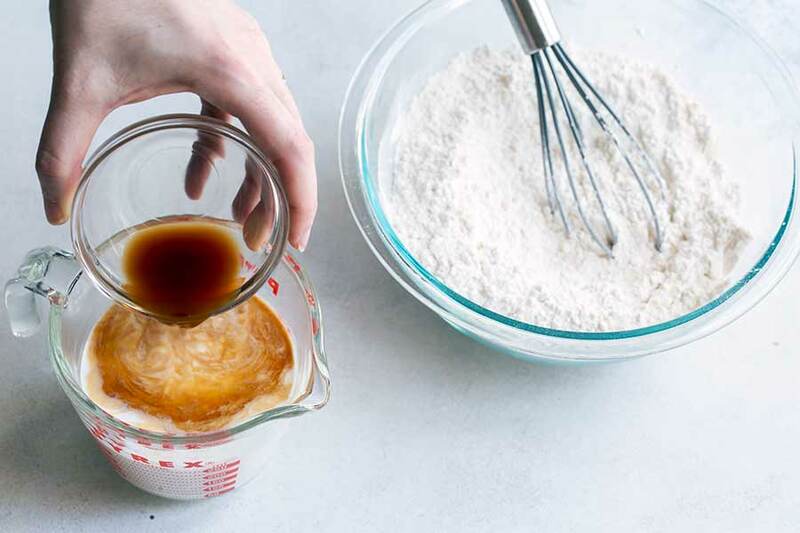 Turn the speed up to medium and mix for an additional 30 seconds to help build the structure of the batter. Do not skip this step. 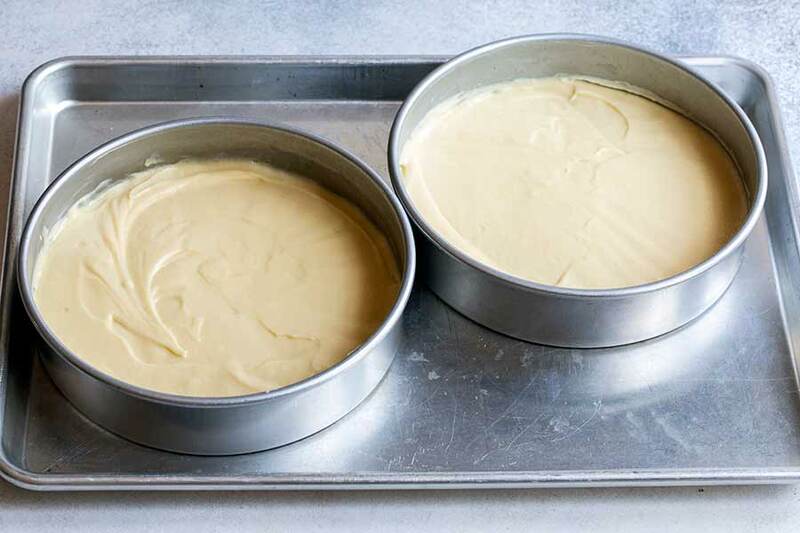 Divide the cake batter evenly into the prepared cake pans. Use an offset spatula to even out the tops (don’t skip this step or the cake may not rise evenly). Bake for 28-30 minutes, or until a toothpick comes out clean from the center. Cool to room temperature before removing from the pan. 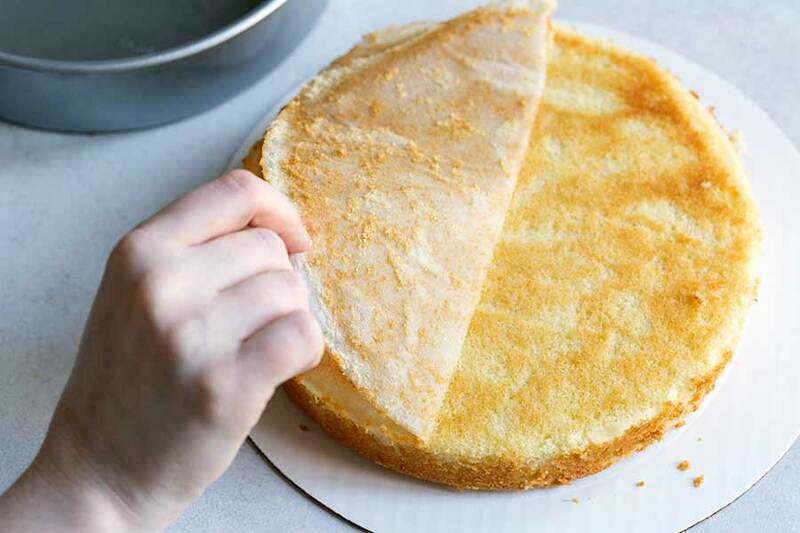 Use an offset spatula or knife to help release the sides of the cake from the pan, then place a cardboard round or large cutting board against the cake pan and gently flip. For the best results, weigh your flour on a kitchen scale. Don't substitute different sized eggs (this includes farm eggs) without weighing them, or it will change the structure of the cake. 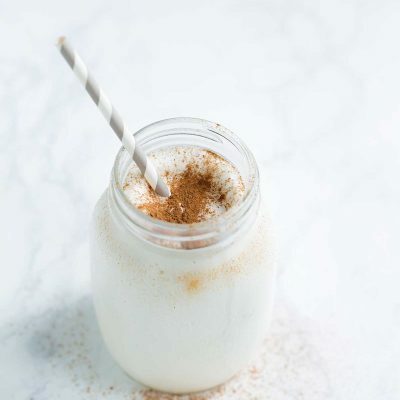 The cake will work if you use dairy with a lower percentage of fat (such as whole milk instead of half-and-half), but the results will be more dry and dense. You will not get the same results from a 9-inch cake pan unless you increase the ingredients by 25%. I have been making cakes almost every weekend with my daughter as our hobby for the past few years. This is hands down the best cake we have EVER had. It’s amazing. The second time we made it we didn’t have half and half so I used 1/2 cup whole milk and 1/2 cup vanilla yougurt and it was still amazing. Thank you for sharing. P.S. thank you for the “spoon and level” tip! It was a game changer. 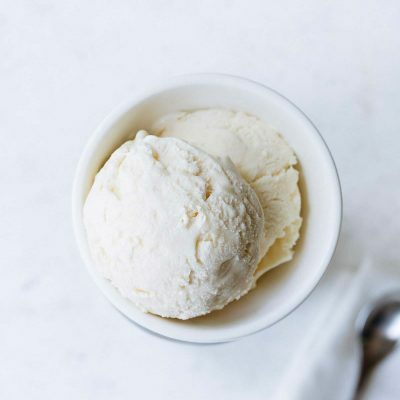 Can this recipe be used for cupcakes? If so, how many will it make, baking time, and temp? I tried this recipe yesterday and while the taste was absolutely delicious, both of my 8” cakes fell. I’ve never had that problem, but am struggling with finding a good yellow cake recipe & wanted this to work so badly. I am in Colorado at high altitude…do I need to adjust for that? I don’t usually find high altitude adjustments helpful but I would be thrilled to get this cake working, so I’ll try anything. I did weigh my ingredients, and made no substitutions. Any other ideas regarding why the cakes may have fallen or what I can try to prevent it? Thanks so much! Hi Mindy, I’m so sorry to hear that! I have to admit, I have no experience with high altitude baking. I’m going to assume that has something to with the cakes falling. I just checked the King Arthur Flour website since they usually have great information, and found this chart. 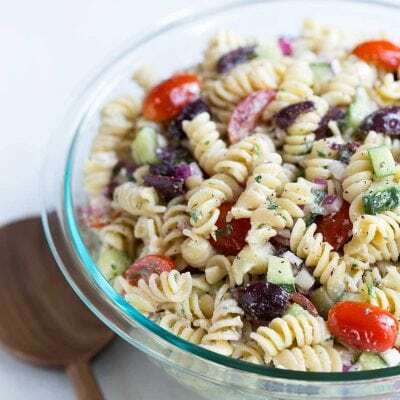 They recommend a variety of adjustments to recipes, including oven temperature, bake time, and adjusting the ingredients. I wish I could be more help! Thank you so much for the quick reply. My whole family was devouring the parts of the cakes that were edible and it was delicious!! I’m going to research & try a few things see if I can get this falling issue sorted out. If I find something that works I’ll let you know. Thank you again for the quick reply. Can you use cake flour instead of ap and cornstarch? Would you use 9 oz of cake flour if so? Hi Amy! If you already have cake flour and want to avoid buying other ingredients, I think that will be fine. And yes, I would do 9 ounces for the combined total weight. I can’t guarantee it will produce the exact same crumb, which is why my recommendation is to always prepare baked goods as written on the first try whenever possible. However, I’m confident you’ll get a tasty cake and would love to hear back about how it goes! Plan to make this for my son tomorrow for his birthday. Which frosting did you use in the photo? 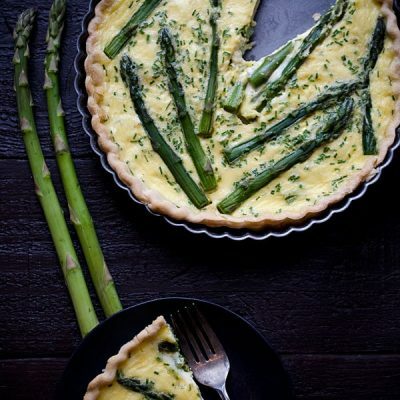 Where can I find the recipe ? Hi Jo! The frosting I used in the photo is my chocolate meringue buttercream, which is linked in the recipe notes, directly under the instructions. Another option, which is linked right below it, is my sour cream chocolate frosting. Enjoy! I could tell this was gonna be good when I saw that wonderful batter! I was not disappointed. I have made a zillion different yellow cakes in search of a really good one. This one is head and shoulders above the rest. Why so much cornstarch; it’s all I could taste; never seen a cake recipe with that much cornstarch. Thanks. 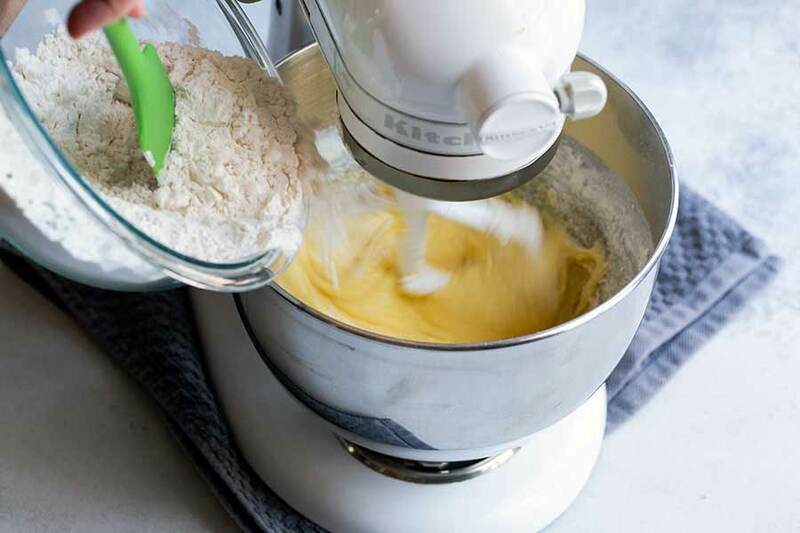 I’m surprised you could taste cornstarch since there’s so much butter, sugar and egg in the recipe :) The combination of all-purpose flour and cornstarch creates what’s known as cake flour, a soft flour that gives cake a more delicate texture due to the reduction in gluten. This does have a slightly higher ratio of cornstarch to flour than the cake flour you’d purchase at the store, but you certainly shouldn’t have been able to taste it, so I’m wondering if perhaps your measurements were off. 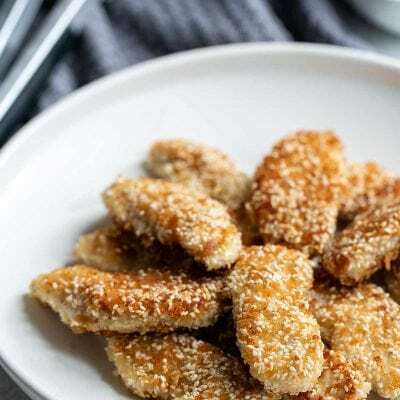 If you don’t like using cornstarch in recipes, you can always substitute ingredients like potato starch or tapioca starch. Happy baking! I used to make a blueberry bundt cake that my family loved. It was box yellow mix, altered slightly and cream cheese added – frozen blueberries folded in. They still talk about it, but I just haven’t been able to bring myself to do it since I switched to scratch baking 8 years ago. Not that they don’t love the new treats – I think it’s nostalgic. I’m thinking of trying your recipe and adding the blueberries, but am wanting to troubleshoot what could go wrong before I get into it. It’s also my dad’s birthday and I’d love for it to go according to plan! Ha, that reminds me (conceptually) of my grandma’s pistachio cake! Boxed yellow cake mix with pistachio pudding mix added in, half of the batter mixed with Hershey’s syrup and then the two batter halves were marbled and baked in a loaf pan. It was her “signature dessert” and everyone loved it. 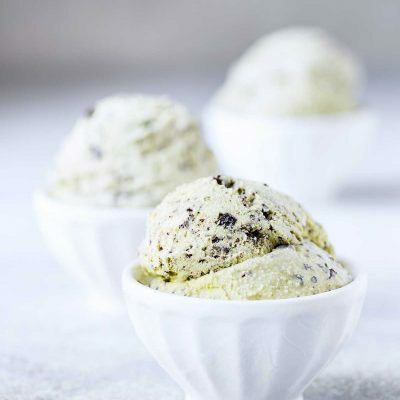 I was so shocked when I found out the ingredients, and it has been so difficult to recreate (who knew intense pistachio flavor in desserts was so manufactured). Anyway, I’ve never tried this, but I think as long as you use frozen blueberries to help lock in the juices, you should be fine. You could also toss them in a bit of cornstarch (just a very thin layer) for an added seal. This is me being high maintenance, but when I’m experimenting for a special occasion, I often do a test run in advance to make sure the recipe comes out the way I want it to. That way you’ll know if there’s something you need to fix. If it works, you can freeze the cake until it’s time to frost it, or you can save it for extra. Thank you for your response! I wish I had found your recipe a little sooner so I could have done a practice run, but I didn’t have time and ended up with the “original” version for his birthday. I told him the next one would be from scratch though – I will let you know how it goes! I tired this recipe yesterday after having tried another yellow cake, recipe and this turned out a far better cake. Thanks for the great recipe! I have a question though. I would like to use this recipe for a half sheet cake. I know that the batter for two 9″ cakes is typically the same volume as that for a half sheet. 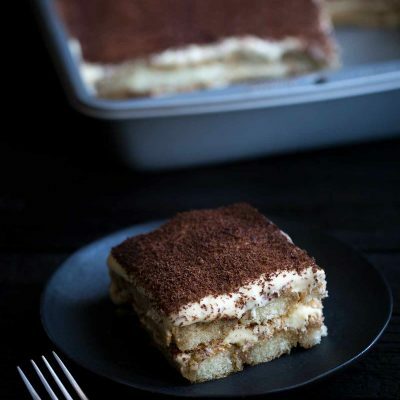 Do you think, were I to increase the ingredients appropriately, it would turn out fine as a sheet cake or would I have to make any other adjustments? I would be baking this in a 13″ x 18″ jellyroll pan. Thanks again! This is seriously the best yellow cake I’ve ever tried! Thank you for all the tips!